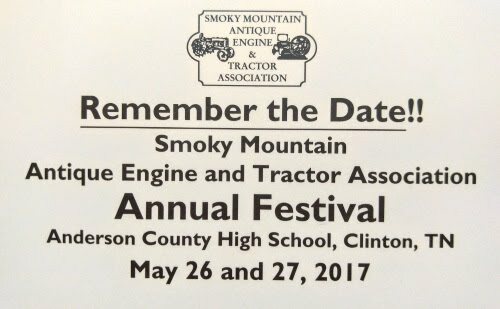 Spring Festival May 26-27 Come out to Anderson County High School to exhibit your tractors, engines and other treasures. Try your skill in the tractor games and enjoy the food and fellowship. The location is right off I-75 at Exit 122. Get directions from Google Maps.